You’re standing in the paint aisle of your local hardware store. At the other end of the aisle, a couple debates the merits of which is the best white to paint a ceiling. Ah, remodeling projects and the many accompanying decisions. You’ve been in their shoes… and perhaps it didn’t go well. Take comfort: you’re not alone. Houzz.com surveyed 1,400 users regarding their recent home remodeling projects. While 46 percent said the experience was collaborative, 46 percent also said the experience was frustrating – and 12 percent said they had considered separation or divorce midway through the project! Further, one-third said the main area of disagreement was style or aesthetic, and common feedback was the wish that they had hired a professional rather than taking on the project themselves. On the up side, 84 percent said they now spend more time at home, and 41 percent reported an increased level of happiness with their partner after their home was remodeled. Whether picking out a rug or deciding on the perfect countertop, there are pros and cons with negotiations from each side. As Designers, we approach each remodeling project with fresh eyes and a listening ear toward your needs and wants. Our experience has taught us how to temper and navigate these rocky waters and guide you through the lengthy list of home remodeling decisions. While we may quip that our chosen profession requires a minor degree in Human Psychology, we truly enjoy the opportunity of partnering with you to create that perfect space – one you likely can’t quite imagine yet. Half the battle is understanding what you are looking for before you even meet with us. Luckily, this article will arm you with some helpful tips to get you there. Try to avoid getting swallowed up by the nitty gritty details. Early in your remodeling dream world, think about the large-scale goals you want to accomplish. Rather than getting hung up on whether a wall is load-bearing or being overwhelmed by how it all comes together, ask yourself what feelings you want your new space to evoke. What feelings does your current space give you? Think less about exactly where the television will fit into your new Family Room, but more about your preference for sunlight through windows on a certain side of the room; less about the way your addition exactly ties into the roof; more about the activities you look forward to enjoying within your new space. Make a list of your top 3-5 priorities for your project. Whether it’s as direct as “I need an additional shower” or as vague as “I need a kitchen that makes me want to cook.” Give it some good thought, and don’t limit your dreams by not knowing how to accomplish them. Make a list of your very top three priorities for working with a Remodeler. Some examples might be: detailed craftsmanship, running a very tight schedule, daily construction updates, a reputation for high quality design, or the lowest cost. This can be a tough one, since many homeowners haven’t the foggiest idea what remodeling projects cost – and reality home shows are not doing you any favors. As professionals, we will develop the projected budget for your specific project, but first you will need to determine what a realistic investment looks like for you. Consider whether you plan to move in a few years, ten years, or if this is your forever home. If you plan on moving in 3-5 years, contemplate whether it’s better to take the leap now. If you plan on staying for the long haul, consider increasing your investment to include everything you want. Hop on Zillow.com to find the values of comparable homes in your area. Call your mortgage lender to discuss realistic spending limits and options for finding the cash. Begin with the amount you are able to invest, then move to the amount you are willing to invest. Do you need to save up a store of cash before you pull the trigger? Are you adding a family member to your household? Do you need the project buttoned up before your teenager’s graduation party? Or are you just simply ready to get going? These are all perfectly reasonable expectations. Keep in mind that a proper design and planning process may take anywhere between six weeks and six months, and construction itself will take 2-5 months – depending upon the complexity of your project. Once you’ve gotten on the same page about The Big Decisions, you’re ready to contact a professional. But what happens when you can’t even discuss these topics without a referee, let alone get on the same page? Keep reading for tips and advice from professional therapists and psychologists that help most couples get through this list, then continue to effectively make decisions throughout planning and construction. Dawn Michael, a couples’ therapist and clinical sexologist, who formerly taught classes on how couples can survive a remodeling project, suggests that each partner write down their answers to the questions above, then trade lists. Circle those you agree with, star those you can compromise on, and cross off those with which you completely disagree. Similarly, Dr. Gabrielle Morrisey of bodyandsoul.com.au suggests making a list of your non-negotiables and the items you are willing to be the most flexible about, while also approaching the conversation with the intent to really listen to your partner’s most important items. 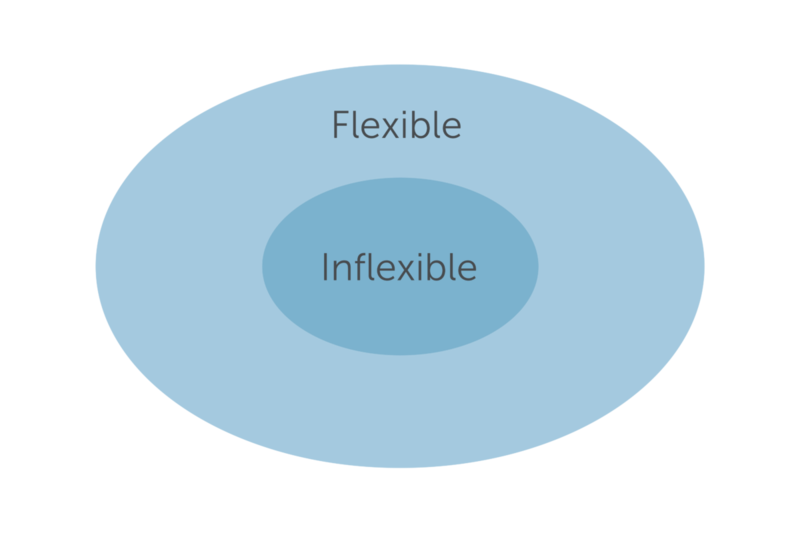 – Can you help me understand why your inflexible areas are so important to you? – What feelings and goals are guiding your needs? – What feelings and goals do we have in common? – Are any of your inflexible needs in my flexible zone, and vice-versa? – How can I help to meet your core needs? – Is there a temporary concession we can make to table the discussion? Always begin the conversation with your most fundamental thoughts and ideas. It’s important to avoid preemptive compromise. Robert Taibbi LCSW gives an example on the Psychology Today website about a couple who wishes to take a vacation. The husband likes the outdoors, but knows his wife doesn’t like camping. Although he doesn’t love the idea, he decides the answer is to go on a beach vacation. The wife likes the bright lights and action of discovering a new city, but knows her husband doesn’t like the hustle. She knows he likes the outdoors, so she decides a beach vacation could be a fine second choice for her. They sit down to discuss their vacation plans, and it seems they’ve found a plan that’s “just fine” for them both. But what if they instead began the conversation with exactly what they each want to do? Maybe they’d find a nice combination they are both happy with. Perhaps a few days camping, then a day trip to the beach on their way to a posh hotel in the city for a few days. By bringing your most honest wishes to the table first, you can begin the conversation at its purest stage. If one of you loves the earthiness of richly stained woodwork, but the other loves the airiness of white cabinets, perhaps you might integrate a combination of the two – but if you come together already assuming you’ll end up with lightly stained wood to appease the other, you’ll both end up with a space neither of you is truly in love with. For some of the smaller choices to be made, a suggestion is to divide the decision-making based on each other’s strongest traits and skills. If one partner is best with numbers and research, but the other is best with colors and enjoys browsing options, divide the responsibilities so that each takes their most suitable tasks to 90% completion. After the legwork is done, bring the information together for discussion. Many couples also benefit from a 1:2 vote system of decision-making. Prior to discussing each topic, decide who is most knowledgeable or better suited to each type of decision; if you are at a stalemate, that person gets the extra vote for the final verdict. Recognize and acknowledge that each of your priorities are valid and they come from a place of happiness and comfort. The mere realization that compromising on one of your more flexible areas could bring joy to your partner – or conversely, inflexibility in a certain area can cause discomfort to your partner – is usually enough to allow you to let go. When all else fails, give yourself space to take a break from the remodeling negotiations. Treat yourselves to a movie or take a walk with no remodeling talk allowed. Often, a pause in the conversation can help each of you realize the options for compromise, as well as reconnect you with that person you call Partner. White Crane Construction is a Minneapolis MN award winning design + build firm specializing in residential construction and renovation including kitchens, master suites, additions, and whole house renovations. Susan Denk, Owner and General Manager of White Crane Construction, has thirty years of diversified construction industry experience. Interested in remodeling your home? Tell us about your project.